Tarot is a lyrical language of the soul's encounter with the Universe. It arises freely, and like the most dignified dance, allows us to express ourselves in motion to the music of the divine. The re-arrangement and reading of the deck is as sacred as the most religious ritual or act of love. Treasure it. Trust it. Let it divine you. Tarot is a tool that can provide answers, insights and guidance on all aspects of our life. 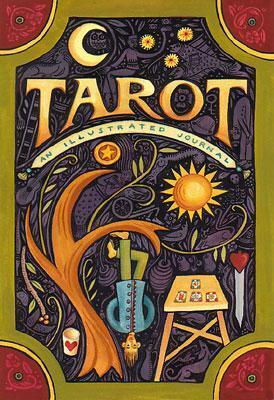 Typically a Tarot deck comprises 78 cards with pictorial depictions on each card. Tarot cards have their own energies and are designed by a process of divination. Using these cards as a medium, the tarot reader connects to the seeker’s question and channels the knowledge of the Divine Tarot. Perhaps the ‘company’ they referred to was not just the people we are with - but actually meant all that we carry with us in our space – our attitudes, belief systems, habits, emotions, personality etc. Very often we are not even aware of all that we carry in our subconscious space that influences our decisions and choices all through life. Tarot is a wonderful medium to help us look at our own ‘Company’ and understand who we truly are. During the course of a Tarot reading, the cards are laid out in a spread which reveals a story about the issue sought. The seeker has only to present his issue by asking the right question which may pertain to any aspect of his life (relationships, career, education, spiritual guidance etc.). ﻿﻿Tarot then﻿﻿ ﻿unfolds ﻿the story, bringing to light the underlying fears/hopes of the seeker, pin pointing blocks/patterns that typically recur in the seekers' life and also highlighting the attitudes/reactions of all those involved. The cards empower us with a complete understanding of the build-up to the situation (the past), the pillars shaping the present and all factors that affect the ‘Now’. The story then unravels the direction in which one is headed in the future, based on the actions and attitudes of the 'Now'. If the outcome suggested is not desirable, the Tarot-cards also provide us with guidance on how we can bring about changes in our life to avert the undesirable future possibility. We sculpt our future out of 'moulds' that we have developed over the years. Changing the moulds that we bear in the present can change the future. It is up to each one of us to recognize the power of the 'Now'. The uniqueness of Tarot is that it is as clear and blatant as a mirror, that reflects your reality, with the ability to also reflect what lies beneath the sheaths of your conscious mind. This is perhaps the most important aspect of the session. The questions you ask are like keys to a treasure-trove of answers. It is imperative to have the right key in order to unlock the answer that you seek. 1. It is always advisable to provide a brief background about oneself and the issue to the tarot reader before commencing the reading, as this helps the reader interpret the cards in better light. 2. Be specific about the area in which you are seeking guidance, for eg. guidance on relationships, career, finances, education, spiritual guidance etc. 3. Ask one question at a time rather than clubbing a couple of questions, especially about different aspects of life. 4. Seek guidance from Tarot rather than attempting to know what the future has in store for you. For e.g. seek guidance on what will help you earn your promotion rather than asking whether or not you will be promoted. 5. Ask questions that govern or influence your life only. Even if your issue involves another person, ask questions that would focus on how you are affected by the other. 6. Ask open ended questions rather than just Yes/No questions. This will open you up to receive all options that the Tarot cards may throw up. Most Tarot decks comprise 78 cards divided into Major Arcana (22 cards) and Minor Arcana (56 cards). The Major Arcanas represent significant events, attitudes or patterns in the seekers life while the Minor Arcanas represent day to day life and its ups and downs. The deck is also divided into 4 suits namely cups, wands, swords and pentacles each possessing 14 cards. Each suit in the Tarot deck represents an overall theme: Cups represent emotions, relationships; Wands indicate careers; Swords represent the intellect, mind and Pentacles represent – money, abundance. The pictorial depiction of each Tarot card along with the relevance of its position in the spread i.e. where the card appears in the spread helps the reading to unfold. The reader connects with the energies of the Tarot and uses his/her intuitive insights to unlock the answers to the seeker's questions. Tarot does not predict the future. It only indicates future possibilities or possible outcomes. It is not a medium of fortune telling. It is a medium that can extrapolate the patterns of the present into the future to suggest a set of possible outcomes. However, what is important to know is that when the 'moulds' of the present are altered, the set of probable outcomes are altered too. When it concerns the future, it benefits to simply ask the cards about how we could change the way we approach an issue rather than fussing about possible outcomes. Any outcome shown by the cards is just a possibility, and we hold the ability to change the outcome by changing our actions.